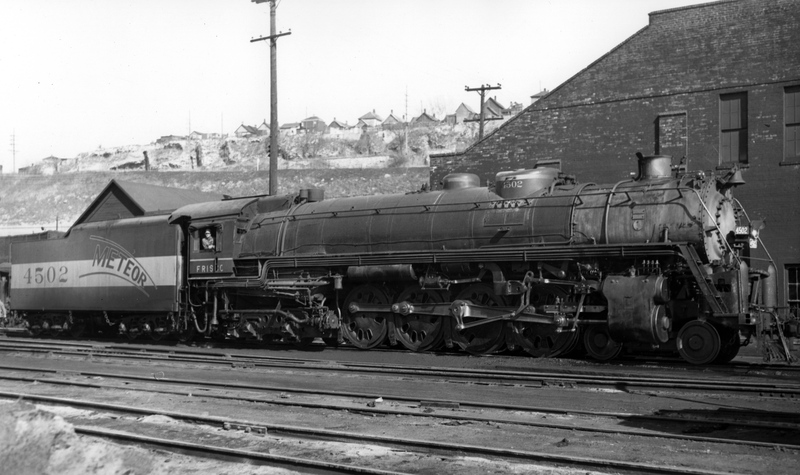 4-8-4 4502 at Kansas City, Missouri in April 1949. 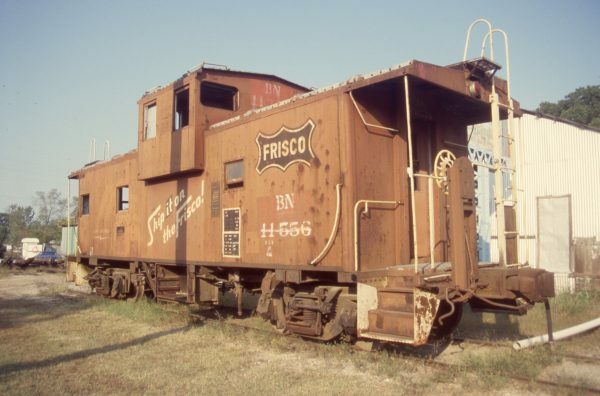 Caboose 11556 (Frisco 1228) at Okmulgee, Oklahoma on October 16, 1998 (R.R. Taylor). 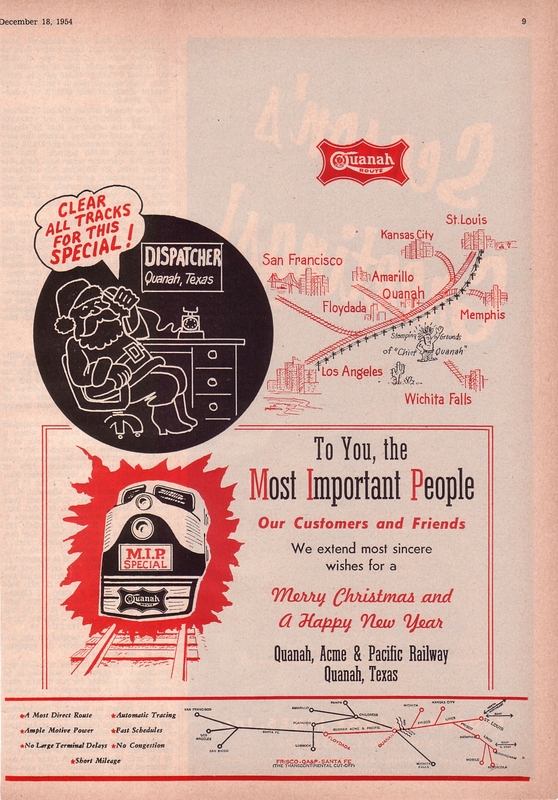 QA&P advertisement from The Traffic World – December 18, 1954.